MERU have teamed up with PosAbility to give away three sets of adapted toys with an accessible Smoothie switch for Christmas! Young children learn how the world works through play – especially cause and effect. A lot of early years’ toys involve squeezing the toy or pushing a button and having something happen. However, for many disabled children, this can be difficult, as they don’t have fine motor skills or may have other impairments. Best known for its tiny Bugzi wheelchair, design charity MERU now offers a range of toys adapted so that an accessible button or switch will work them. These toys are aimed at making learning about cause and effect more accessible. It may seem like a small thing for a child to be able to press a button and make a toy sing or light-up, but the first realisation that ‘if I do this, then something happens’ is a crucial part of development. So, a disabled child that’s introduced to switches or accessible controls via an adapted toy will be gaining the basics of how to go on to control a powered wheelchair. As well as a range of ready-adapted toys including popular characters from hit movies, MERU can adapt toys on request too! As a special Christmas treat MERU is giving away three sets of specially adapted toys, complete with a Smoothie accessible switch that will work with them. We will do our very best to make sure these toys arrive in time for Christmas so make sure you get your entries in quickly as the closing date is 16 December 2018. Closing date for entries is 16 December 2018. One entry per household. Winners will receive one of the sets of toys which will be posted out on 17 December 2018. Please note we cannot guarantee the arrival of the toys before Christmas Day. 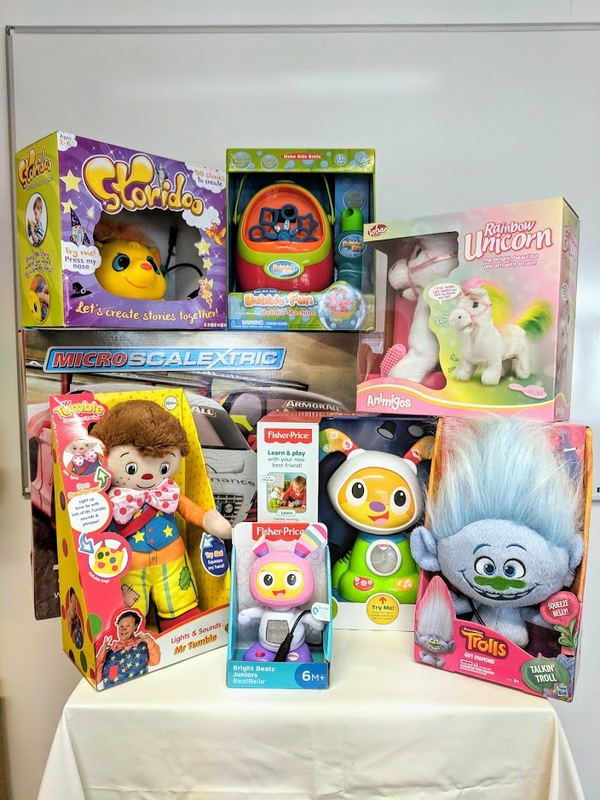 To be in with the chance of winning one of these fantastic sets of toys, fill out you details and a pick the selection of toys you would like to receive and the winner will be picked at random to receive their selection! Good Luck!